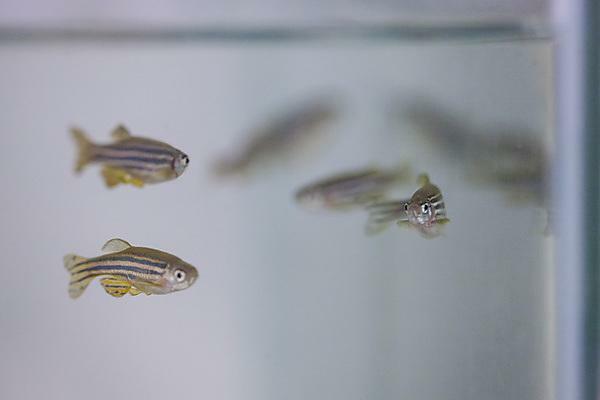 Scientists at the University of Plymouth, the NC3Rs and AstraZeneca have conducted the largest survey to date on the use and care of zebrafish in research. The results are published in Journal of Fish Biology and cover anaesthesia and euthanasia methods, housing and husbandry, breeding and production. The zebrafish (Danio rerio) is a popular research model which has a number of scientific advantages: while it is genetically similar to humans, it is also easy to genetically manipulate, as well as to house and breed. Zebrafish produce large numbers of offspring that grow and develop very quickly, and their transparent embryos and larvae are used extensively for developmental and toxicology studies. The survey aimed to better understand common practices and identify opportunities for refinement. 98 responses were received from laboratories in 22 countries in Europe, the Americas, Asia and Australia. The data collected enable zebrafish facilities internationally to benchmark their husbandry practices, for example in terms of stocking densities, feeding regimens and lighting. The paper also identifies opportunities for improving the welfare of laboratory zebrafish, such as feeding of live prey and skin swabbing instead of fin clipping for genotyping. Zebrafish are the second most common animal species used in research in Great Britain (Home Office annual statistics for 2015). It is estimated that more than 3,250 institutes spread over 100 countries work with zebrafish and while it remains unclear just how many zebrafish are used in research annually, the publication suggests more than 5 million. With the advent of technologies such as rapid CRISPR/Cas9 gene editing, use of zebrafish is likely to increase. This makes working together to improve the welfare of these important laboratory models even more important. A lot remains to be discovered about the welfare needs of zebrafish. This paper sets out the opportunities for the zebrafish community to build on good practice and also highlights areas for further investigation, such as the need to identify more humane alternatives to the commonly used MS222 for anaesthesia and euthanasia.